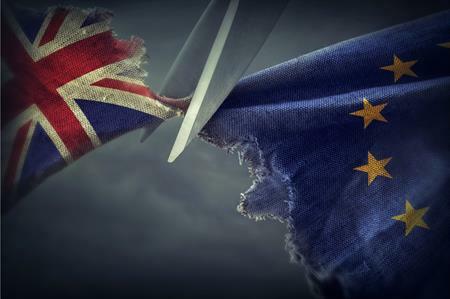 The UK events industry needs to work together to lobby parliament and focus on attracting and educating British talent ahead of negotiations with the EU -according to SITE GB's recent Brexit debate. The evening event for the Society of Incentive Travel Excellence, held at the Conrad St James on 17 November, attracted around 50 SITE members and guests to discuss the burning issue of the day – how Brexit will impact the UK events industry – and featured speaker BBC business correspondent Jonty Bloom. While much of the evening was spent discussing the potential economic impact of Brexit, which it was agreed is impossible to predict, as well as the ongoing effect of the weak pound on international events, some clear next steps were identified. The first being that the window for lobbying government ahead of Brexit negotiations beginning in earnest, is around six months. SITE GB is keen to work with other industry bodies such as BVEP (Business Visits and Events Partnership) to discuss the key focus for the incentives sector and ensure that it is recognised as an important industry by government. In addition, another key concern for the industry after Britain’s decision to leave the EU is recruitment, given the high number of European workers in the events and hospitality sector. If there are restrictions on Europeans coming to work in the sector, SITE GB members agreed that we need to look at ways of developing and promoting the hospitality industry appeal to up and coming next generation. The news this week that the event industry's Trailblazer Scheme has received final government approval to become the first fully approved apprenticeship programme for event professionals, was a positive step. But more could be done to attract the young people into working in catering and hospitality to prepare for a potential shortage in future. SITE GB board member and senior director, operations, BCD Meetings & Events, Sue Burgess said: "We are working on an event in the new year where we will bring together different areas of education/training to an event where people can investigate the choices available to them for bringing on our new talent and how they can promote the options available. "As an industry group, SITE GB feel we can best support the industry by promoting the choices available and allow our members to make informed decisions on how they can and are willing to grow the future talent in the UK and we will be sending out details of the event in the New Year. To be successful we need the next generation to know the great career opportunities that are available to them in our industry."